Click here for a free PDF download of a 12 Session Study Guide to The John Wesley Code. In The John Wesley Code, James Stuart argues that John Wesley, the founder of Methodism, can help Methodists find a new vision for today if they are prepared to listen and learn from him. He paints a challenging portrait of Wesley, profoundly transformed and driven by the love of God, who chose to stand alongside the poor and dislocated people of his day and offer a message of healing, hope and personal transformation. Because Wesley was so in touch with the presence of God’s grace and love in his life, he can offer us fresh, new ways for ministry in a post-modern society. This Leader’s Guide helps readers of The John Wesley Code to learn not only about Wesley but to also imagine new ways of being church today. Participants in study groups will have the opportunity to explore first Wesley’s practice of ministry, second his theology of ministry and third consider the kind of people Methodists and others can become because of the love of God at work in their lives. There will be opportunities through the study group for members to share with one another their emerging new visions for the church and to develop deeper relationships with one another that will last far beyond their time together. That is why it is recommended that the final gathering include a shared meal and act of re-dedication to Christian ministry and service. This study guide is designed for six or twelve weeks of study and exploration using the book The John Wesley Code. The guide recommends twelve weeks to cover the material, however, the guide can be adapted to the needs and time constraints of the group. It is recommended that the first eleven sessions last about one and a half hours. The guide can also be used as a foundation for a weekend retreat alternating the sessions with recreation, rest, other activities and concluding with a meal of celebration. Be clear in announcing the time and place of the meetings. Try to meet in a pleasant, comfortable room where chairs can be set in a circle. Invite the group to choose their leadership style. One person directing the discussion through the twelve weeks, or two persons working together, or each member taking a session in turn. Each session contains several kinds of questions. Some focus on the contents of the book. Do not neglect these for it is important for group members to have some understanding of Wesley’s world. The second set of questions deal with the meaning and implications of Wesley’s ministry. And finally there are some questions which invite participants to share their own ideas and feelings. There are no right and wrong answers so participants should feel free to share their ideas without fear of being criticised. 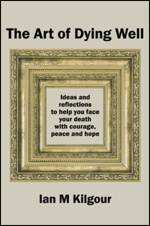 Most important is to encourage the expression and exchange of ideas and insights gained from the book. It is not imperative that the group address all the questions for each session. Try to focus on those which seem most important to the group. Encourage everyone to participate in the conversation and try to avoid having one or two people monopolise the discussion. The leader of the group for the session should keep the discussion focused on the questions for the session and if the group goes off on a tangent, gently move the discussion back to the question or move on to the next question. Each member of the group should take responsibility for what he/she says and encourage openness and trust by being willing to share. All contributions from group members should be treated with respect and seriousness. 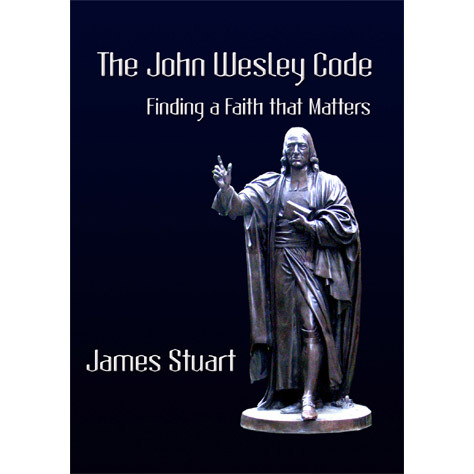 The John Wesley Code: Finding a Faith that Matters, James Stuart 2008, Philip Garside Publishing Ltd. Note that this Study Guide is also included as an appendix at the end of the eBook editions. Notebook, pen or pencil or other writing paper. Group members might find it helpful to keep a record of the ideas and insights they gain during the 11 (or 12) sessions. These could be shared later with the congregation. A light supper of coffee, tea and biscuits may be shared either during or after the session. A copy of the Study Guide notes for each session. This entry was posted in Special Offers and tagged community-facing ministry, Free study guide, John Wesley, Methodist, New Zealand, small group resources on July 18, 2015 by Philip Garside.